With a (finally) renovated kitchen comes a new reason to entertain in my home. 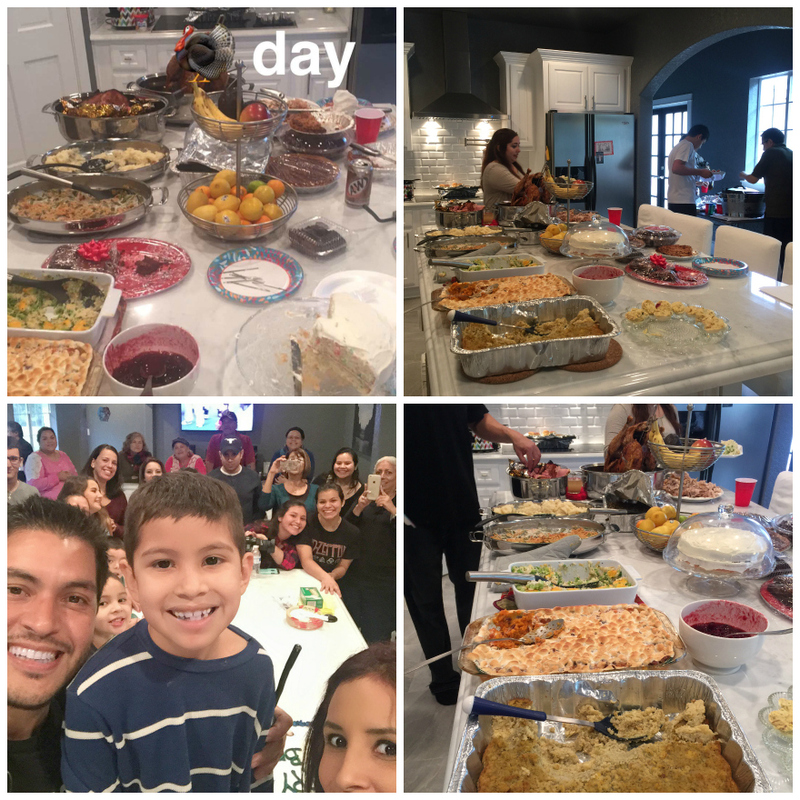 We have had so much fun hosting Thanksgiving and Brody’s birthday with our family. It was a weekend full of family, food and relaxation. One of the stars in my kitchen turned out to be my new Viking 3-in-1 Roasting Pan. I used the 3-in-1 Viking set along with the normal disposable metal pans I have always used to serve our Thanksgiving favorites and everyone raved about the Viking pieces. 4 qt. lid converts to a dutch oven, saute pan, casserole, or as a serving dish. 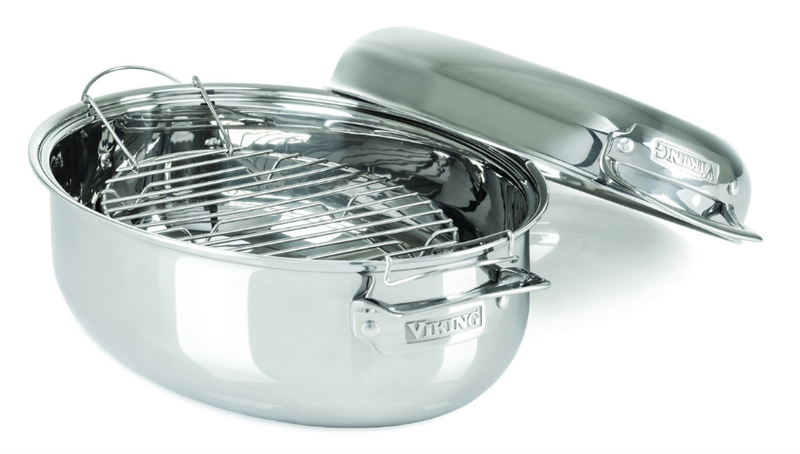 The new Viking 3-in-1 Roasting Pan is made with 3-Ply construction so that heat is distributed and retained evenly. Made for all cooking methods, including induction cooking. The dual-level elevated stainless steel wire rack prevents burning and makes it easy to drain. The gorgeous mirrored polish finish looks elegant in the kitchen and as a serving dish. I use it daily for casserole type dishes and to serve food around our island. 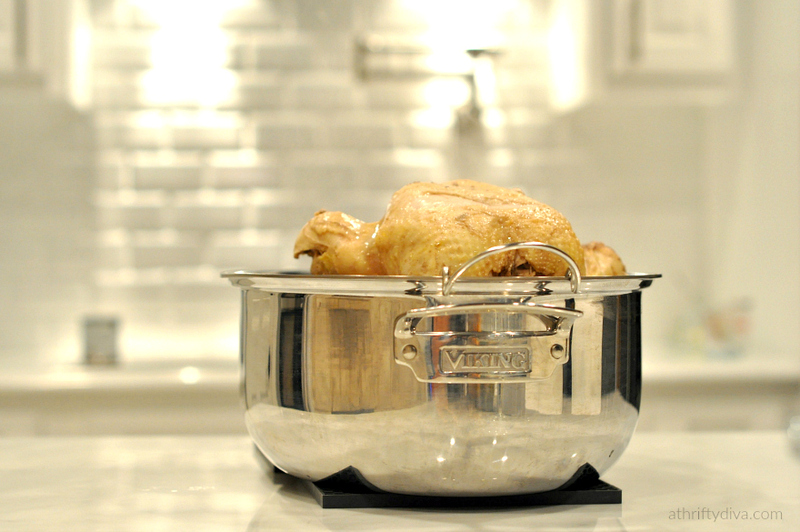 The roaster fits chicken or turkey up to 14 pounds. 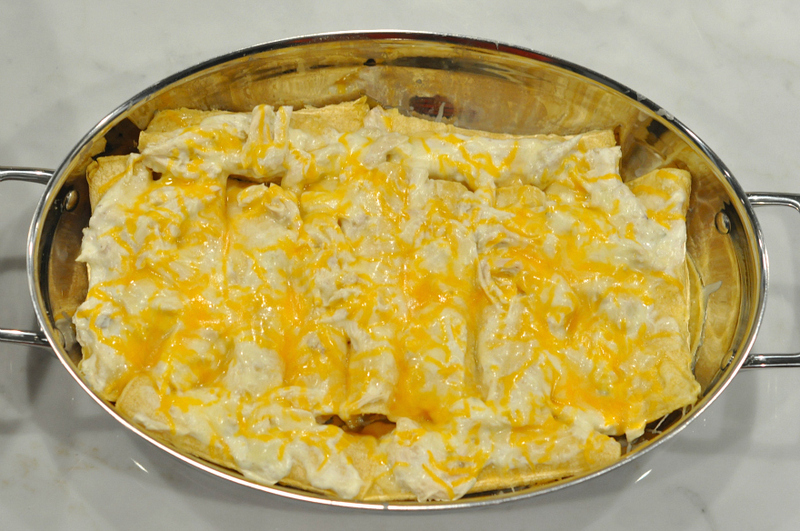 I used the Viking 3-in-1 Roasting Pan today to cook and serve enchiladas in the 4 qt. 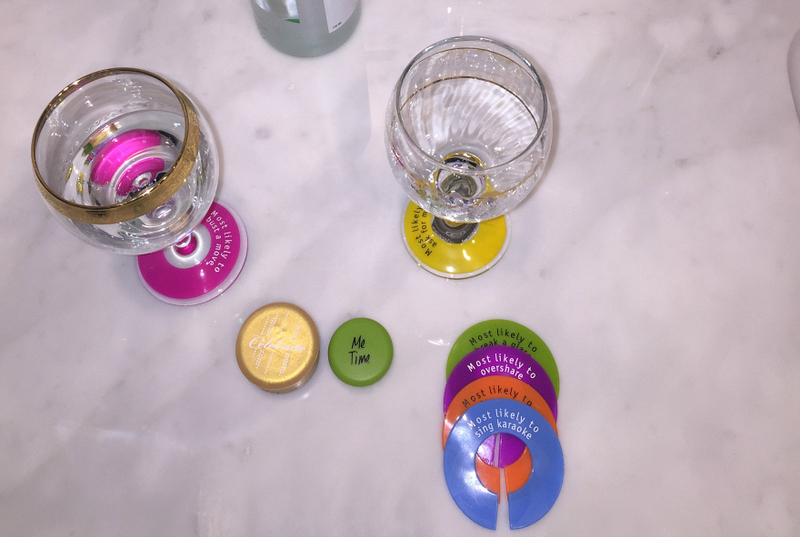 lid. 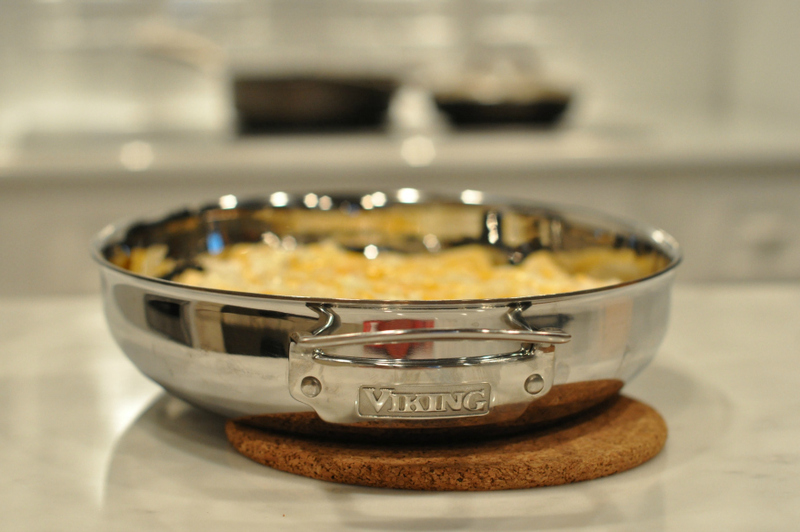 Shop the Viking 3-in-1 Roasting Pan for $199. with a lifetime warranty and serve up classy dishes for all of your guests. 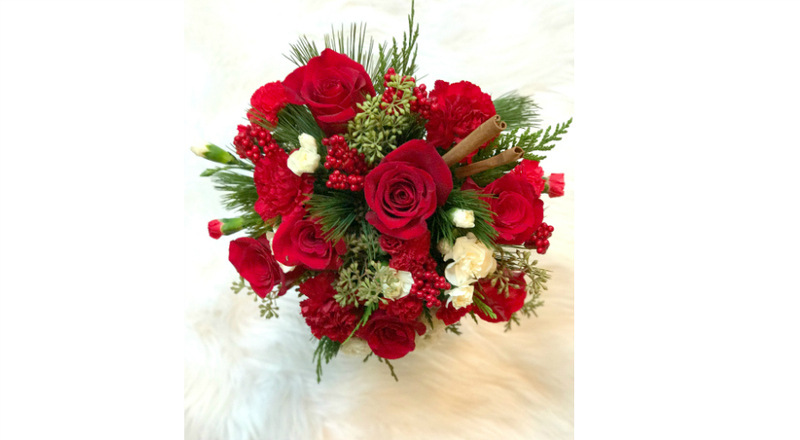 Disclosure: I received product in exchange for this post. All thoughts expressed are my own.